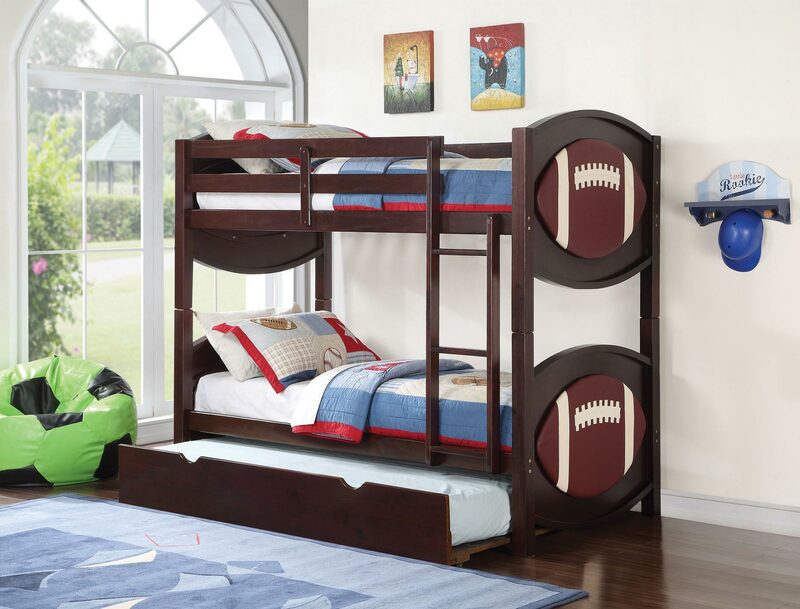 The All Star Collection 11956 Twin Over Twin Size Bunk Bed is a wonderful addition for a sports enthusiast’s bedroom. 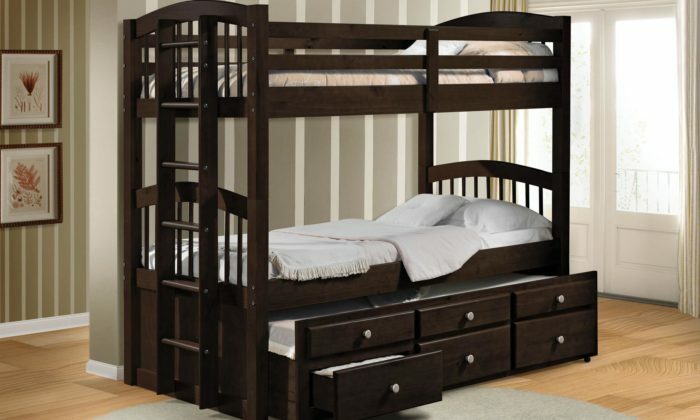 It features a trundle that has a quirky design at the headboard as well as at the other end. 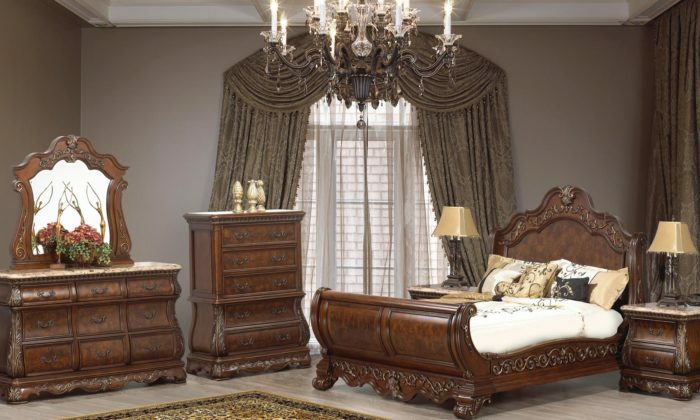 Perfect for a contemporary styled bedroom, it comes with clean cuts with no carvings or outer designs. 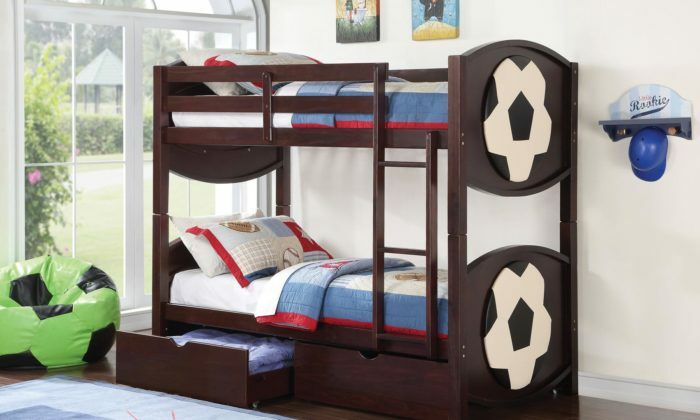 The twin bunk bed offers durability, guard rails provide safety and the ladder allows for easy access to the top bunk.